Missy Franklin had a very successful PAC 12 Championships to say the least, coming home with multiple records as well as a large sum of medals to add to her already impressive collegiate repertoire. Individually, Franklin won the 200 IM, 200 free, and the 200 backstroke. Her times in all three events were very impressive, and it was tough choosing which swim of hers would make it on this list, but in the end her 200 freestyle proved to be the greatest result. In her 200 IM, Franklin was a 1:53.47. In her 200 backstroke she was the only swimmer under 1:50 with a time of 1:49.94. Her 200 freestyle gave way to a very fast 1:41.09. That time points fingers in the direction of the 1:40.31 NCAA and American record she set at last year’s NCAA Championships. The time counted as a PAC 12 record as well, just furthering the statement that she’s in great shape with just a few weeks to go before NCAAs. Last season, Franklin wasn’t this fast at the PAC 12 Championships, and this time along with the other quick results shows that she’s in excellent shape and ready to attack the water on college’s top scene. Northwestern junior Jordan Wilimovsky is making his mark on the distance events and is slowly emerging as one of the top distance freestylers in the nation. His time of 14:33.50 in the 1650 freestyle defends that statement. Not only does that time rank him first in the NCAA this season, but second in the nation at any level behind current national record holder Connor Jaeger. He was just about 10 seconds off Jaeger’s mark, and if he’s got more left in the tank heading towards NCAAs he could move even closer to it. At the Big 10 Championships where he swam that time he set a new pool record at the University of Iowa. Ivy Martin is known for her speed, knocking out great times in the 50 and 100 freestyles so far throughout her career. At the Big 10 Championships Martin was very fast, and threw down a 21.65 to win the 50 freestyle. This time was the fastest 50 freestyle from any female swimmer at any conference championship meet this year, and behind only Simone Manuel nationally (21.59). Martin also swam extremely consistently at the Big Ten Championships. She was under 22 seconds in the 50 freestyle in both prelims and finals, and had incredible relay performances as part of a perfect 7-for-7 in conference titles. On the 200 freestyle relay, Martin split a 20.96 which is among the fastest relay splits ever. Martin is already one of the fastest performers ever in the event, and will have to battle it out with Stanford’s Simone Manuel, who has been a 21.59 this season, at the NCAA Championships. Honorable Mention: Farida Osmal, Cal – 21.65. Tie-breaker goes to Martin because of the 7-for-7. That’s tough to do in a conference like the Big Ten. In his sophomore year Will Licon now holds three school records after breaking the 2009 mark set by Ricky Berens at the Big 12 Championships. Not only was the time good enough to break the record, but it was a fantastic performance which now ranks him as the fast swimmer overall this season in the event. Licon already held records in the 200 breaststroke and 400 IM, and the 200 IM victory added some icing on the cake. Michigan swimmer Dylan Bosch put up a fairly similar time, and after two weeks of conference meets is the only swimmer to have put up anything within the range of Licon’s swim. After his very impressive 1:41.67, Licon is one of if not the favorite going into the NCAA Championships. 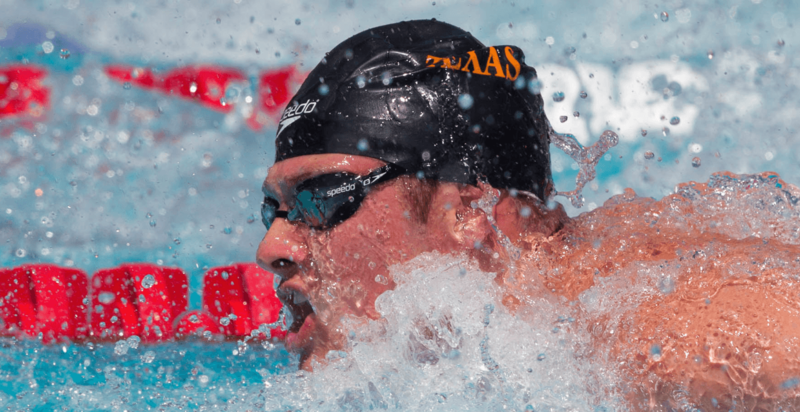 As a Texas freshman, Joseph Schooling has set the tone early proving that he’s one of the fastest flyers currently in the NCAA system. He’s one of a few top notch fly swimmers that train in Texas, and rocked a beautiful 44.81 at the Big 12 Championships. The time was over-shadowed a bit by Jack Conger’s performance. Conger was a 44.78 to come first in the 100 fly beating Schooling by just three one-hundredths of a second, but following our rules of “one per swimmer,” Conger has another race later on this list (as one might expect). The time was a personal best for Schooling and now ranks him as the eighth fastest performer ever in the event. The Texas men are performing very fast times at the current moment, and Schooling is one of the favorites in the fly events at the upcoming NCAA championships. With a 44-mid or 44-high even, he will most likely be able to put up a top three finish. The breaststroke events have been dominated by Kevin Cordes for the past few years, but so far this season he hasn’t produced much to indicate that he’s going to be able to dominate the breaststroke events yet again. On the contrary, Nicolas Fink of Georgia put up an extremely fast 200 breaststroke time of 1:51.58 which is over a full second ahead of anything Cordes has produced this year. The time ranks him first overall in the NCAA, and second in the nation behind only Cody Miller. Based purely on this season’s results, Fink and Texas’ Will Licon are the two top contenders in the 200 breaststroke. You can never count out Cordes considering all his speed and experience, but it looks as though Fink will be giving him and Licon quite the battle come NCAAs. 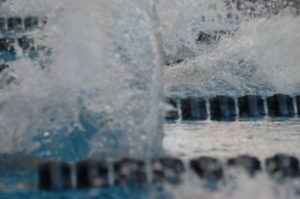 The distance events in American swimming have been dominated by ridiculously fast performances by high school senior Katie Ledecky, and the swimmer closest to her right now is Cal’s Cierra Runge. Runge, a silver medallist from the 2014 Pan Pacific Championships, broke an NCAA record in the 500 freestyle at the PAC 12 Championships making her the undisputed favorite going into NCAAs. She rocked a 4:31.90 to beat the previous mark set by Brittany MacLean to win last year’s championships over Runge’s teammate Missy Franklin. The time is extremely impressive, and not only marks the fastest NCAA performance of all time, but ranks her as one of the top performers ever in the event. There are a few distance stars stepping into the light right now with the likes of Leah Smith to name a few, but after a performance like this the Cal freshman is making a huge statement with only a few weeks to go before NCAAs. There are few swimmers that can say they’re gunning for a Natalie Coughlin record, and it seems as though Louisville’s Kelsi Worrell is one of them. She came dangerously close to Coughlin’s American record in the 100 fly and with her time of 50.17 is now the third fastest performer in the event. Not only is she the third fastest performer, but that was the third fastest performance ever. Even Coughlin was only faster than Worrell’s time once, which sheds some perspective on just how fast Worrell went. That time she swam at the ACC Championships makes her the fastest swimmer this season in the event and the favorite for the NCAA Championships. Kristian Gkolomeev swam one of the fastest 50 yard freestyles of all time. No American ever has been faster than him, and as he is not an American citizen, he was not viable for the American record. Gkolomeev’s 18.64 was ridiculously fast, and plenty faster than the time he swam at last year’s NCAA Championships to tie for the gold medal. To put into perspective just how fast it was, you need to take a look a the names he’s now up with on the list of fastest ever performers in the event. Cesar Cielo, Matt Target, and Vlad Morozov are the only swimmers ever to put down a time faster than him. When your name is in league with swimmers like that, your speed is unquestionable. The time puts him well ahead of the rest of the competitors this season, and could see him seek another individual gold in the 50 free at NCAAS, but this time without a tie. Jack Conger has had one of the best seasons among every other swimmer in the NCAA at this current time. He’s thrown down impressive results in such a wide range of events, that he even has plenty of options to swim at the NCAA Championships. Conger didn’t even swim the 200 fly at the Big 12 Championships. 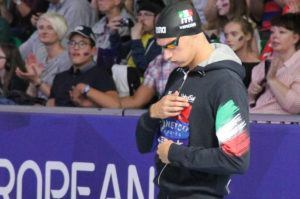 He entered a 200 fly time trial to open up the meet, and that is where he broke the American record in the event. That time stands as the fastest performance ever in the event, beating out Dylan Bosch’s 1:39.33 from last year. The previous American record was held by both Tom Shields and Michael Phelps at 1:39.65. Conger is now the only swimmer other than the most decorated Olympian of all time, Michael Phelps, to go under 1:40 in both the 200 yard fly and the 200 yard backstroke. He can swim it all, and the decision to swim the 200 fly at NCAAs still hasn’t been made. Conger is not only valuable due to his individual talents, but to the relays. 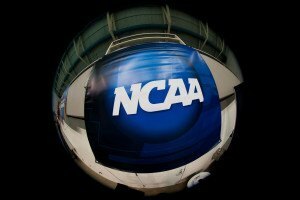 He and coach Eddie Reese will need to discuss where he fits in best when creating his NCAA schedule. One factor that might come into play is that despite his swim, Conger is not the NCAA record holder in the event. Since the time was done in a time trial, the NCAA record still belongs to Bosch at 1:39.33. Didn’t Farida Osman of Cal also swim a 21.65 in the 50 free? I really like this style of article, by the way! She did. We gave the tie-breaker to Martin on the basis of 7-for-7 (when she was the most important part of all 7, really), but I’ll add an honorable mention for Osman above. Ivy Martin will have to battle it out in the 50 not only with the favorite, Manuel, but also with Farida Osman, who I believe tied Martin’s time at Pac-12.